A QUALITY DRYWALL PRODUCT – THERE IS NO SUBSTITUTE! Grade A Construction, Inc. – Drywall Division is second to none. Our Quality Control Manager has over 30 years of field experience. Pride of workmanship is something every installer has in their work. We expect and will not accept anything other than top-notch quality from our crews, and they deliver. Again, this is the “Grade A Difference”. THE DRYWALL INDUSTRY VS. GRADE A CONSTRUCTION, INC. While the products and basic techniques throughout the industry remain the same, the difference is the finished product and the effort in getting there. We realize that time is of the essence. By having the advantage of working a project from the insulation phase on, we can turn around and begin the drywall phase as soon as the insulation inspection has been approved. Grade A Construction, Inc. has the personnel and professional experience to turn the job in a shorter time span while still maintaining the “Grade A Difference” of high quality. As the process moves from hanging and taping the drywall and moves to any textures and painting, we can make this transition very quickly and push your project toward completion. Grade A Construction, Inc. has high tech, fully equipped spray rigs capable of all finishes including smooth, sand texture, orange peel, splatter, knockdown and acoustic. 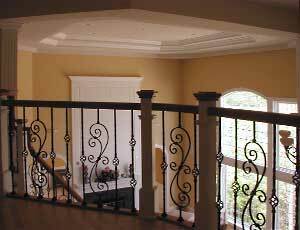 In addition, we have specialists capable of several hand applied architectural coatings to satisfy your customer’s tastes. Prior to any spraying or texturing, our applicators completely mask off for all over spray. This includes all windows, doors, showers, fireplaces, can lights and bath fans. Garage floors are covered as well as basement stairwells. We go to this extent to ensure any colors and textures stay where you and your customer want them. A base coat of paint completes any job after texturing. Any coat of paint applied over a drywall texture is sprayed on using an airless pump and back rolled. We back roll to ensure touch up ability. This creates a homeowner friendly surface, one that blends well with future touch ups. Back rolling is the key to a quality, customer friendly finish worthy of repair and change for many years to come. Grade A is your key to a personalized home for your happy customer! Some jobs invariably require something extra after all is said and done. Grade A Construction, Inc. has built into their system the allowance for these situations. Settling crack repairs, nail pops and cracked corner bead are among the most common repairs our service and repair crews handle on a daily basis. For this purpose, we have four fully equipped service vans designated for drywall repairs. We look for distinctive qualities in our service department personnel. Since many of the situations they respond to occur after the homeowners move in, we require them to be very friendly, courteous, professionally trained and extremely trustworthy. Grade A Construction, Inc. takes the schedules of others very seriously. We are in a service industry. So, when our service department goes out on a call directly with a homeowner, it is fully understood that we are representing you the builder as well as ourselves. There is a lot riding on their performance, and they are ready for virtually any task. From start to finish, you can expect and will receive top quality products and services from Grade A Construction, Inc.